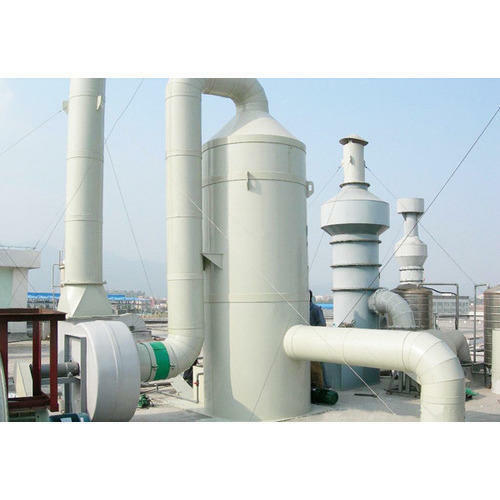 We are among the reputed names in the industry for manufacturing and supplying Dust Scrubber. Packaging Details As Per Requirements. Pass Engineers was founded in the year 1996 and is operating as a leading manufacturer, exporter, supplier and wholesaler of a vast variety of Ventilation & Air Pollution Control System. Our product range comprises of Dust Collectors, Dust Collection Systems and Industrial Scrubbers. We are highly regarded for our products as they are effective in terms of performance, long lasting and seamless in terms of finish. These are demanded in chemicals, fertilizers, oil and pharmaceutical industries. We have constructed a state-of–the-art infrastructural unit that is segregated into various sections. Our production facility is loaded with innovative technology machines for meeting the bulk orders efficiently. We have a quality control unit, which is engaged in monitoring the quality of the manufactured products for keeping in tune with the international standards. Our transportation facility is fast and ensures the delivery of products within the stipulated time period. We are specialized in offering customized solutions to our revered clients based from Nepal and Bhutan.